Room 210 is open Monday - Friday from 7:45 a.m. to 3:30 / 4 p.m.
Print out and solve the study-related puzzles which appear on this page. More challenges will be added periodically. Keep checking this location. The answers to the following puzzles are below the puzzles. Just scroll down - after you have tried to solve them! A] Why is it illegal for a man living in Florida to be buried in New York? would the survivors be buried? gets off except the bus driver. What is the name of the bus driver? E] A man digs a hole which is three feet wide, six feet deep, and seven feet across. How much dirt is in the hole? 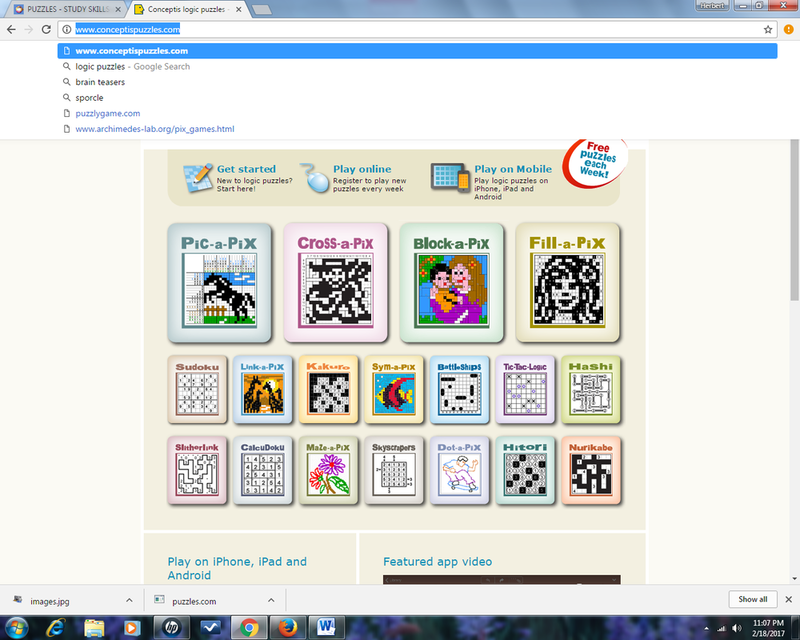 Go to this web site by clicking on the logo to the left and you will find a large assortment of puzzles which will challenge you. 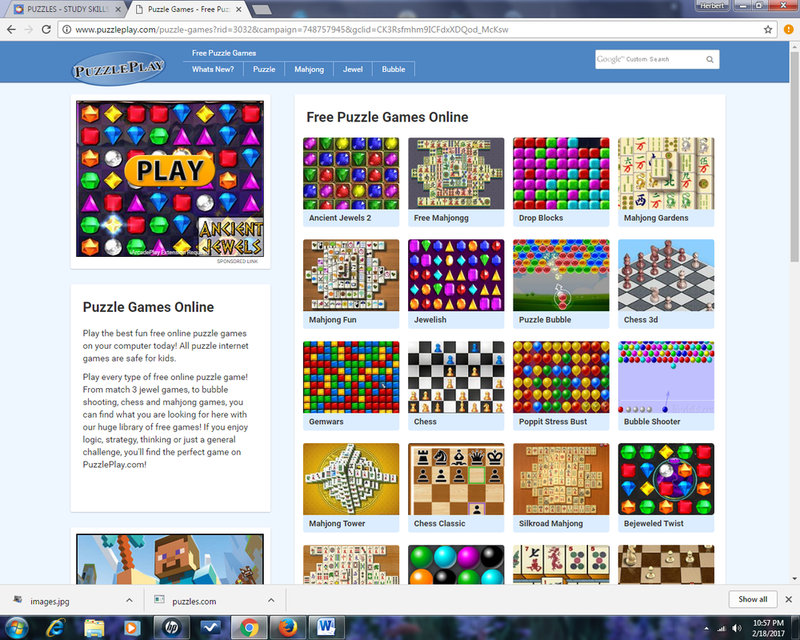 At this site, there are a number of math and logic puzzles. Go there by clicking the icon on the left. to think logically, and solve the puzzles - if you can! on the icon to the left of this description. 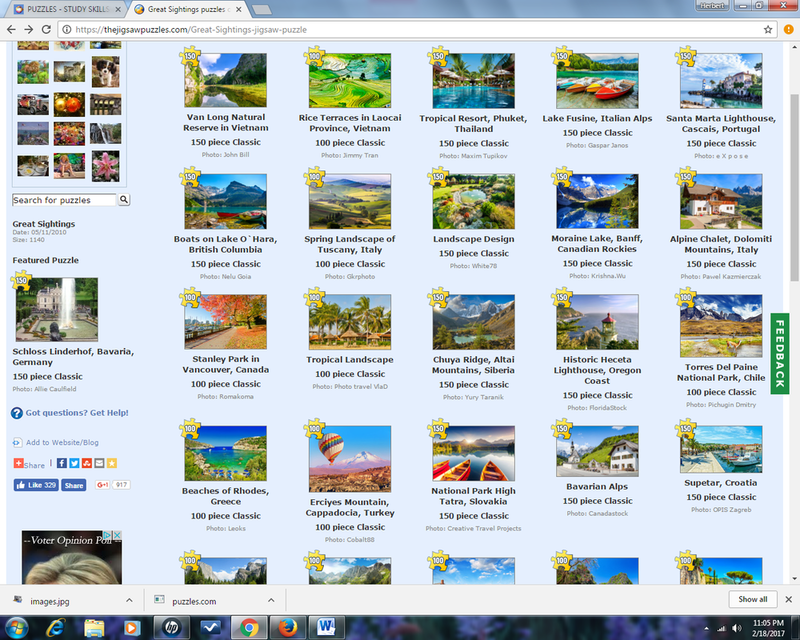 If you LOVE jigsaw puzzles, try your hand at the electronic version at TheJigsawPuzzles.com. A sample of completed ones follows. Get to that link, click on any picture and begin putting the pieces together.